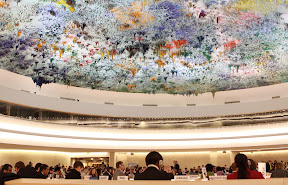 The Human Rights Council (the Council) was established on 19 June 2006 to replace the Commission on Human Rights (the Commission) by General Assembly Resolution 60/251. The establishment of the Council was accompanied by high rhetoric that promised, or at least looked to, a new era in the United Nations' (UN) human rights work. There was much talk of new beginnings, new starts, new chances. The truth, however, was that no one believed it was going to be easy to effect real change. The Council was conceived in the context of the destruction of its predecessor, and politically charged debates in the General Assembly between those States wanting a Council with no real teeth and those that argued for a body that was more effective than the Commission. Resolution 60/251 also mandated the Council to review the mechanisms and mandates it has inherited from the former Commission. This process of review, the so-called 'institution-building' has come to a an end with the adoption of Human Right Council Resolution 5/1 (also called 'the institution-building package') on 18 June 2008. For more information on the Council's mechanisms, please use the menu on the left. Information is also available on the Treaty Bodies. A five-year review of the Human Rights Council was completed in 2011. You can find out more about the outcomes of this review here. ISHR's Human Rights Monitor Quarterly outlines developments in the international and regional human rights systems, including the Council. It is available in English, with selected articles available in French. ISHR together with the Friedrich Ebert Stiftung has produced a Handbook on issues of transition from the Commission to the Council. Even though it was published prior to the institution-building phase, it provides an overview of the issues involved. Downlaod the English version/Version française.